Situated above a barber shop, Morden is a relatively small driving test centre. If you're not looking hard enough, you might miss the sign above the doorway! Though small in size, the centre more than makes up for it with the sheer volume of driving tests it oversees on a monthly basis. It's always worth getting to know your centre better, so if you're heading to Morden, check out directions, pass rates, test routes and much more below. Morden test centre is based to the south east of the town centre, directly next to Morden Park. It's easy enough to get to. If you haven't had the chance to check it out just yet, simply use these directions and you'll get there just fine. Please note that the centre does not provide parking spaces, so visitors are advised to park on Tudor Drive itself. When doing this, make sure you park legally at all times. The location of Morden test centre offers examiners a versatile range of road features and conditions to test candidates on. The centre is close to several shops, a bustling supermarket and the busy A24, meaning candidates will have to face streams of traffic and possible congestion. Quieter residential areas will also require candidates to carefully observe their speed and hazard perception. For more information about the local area, take a look at the resources below. The DVSA doesn’t publish the exact test routes for Morden or any other test centre. 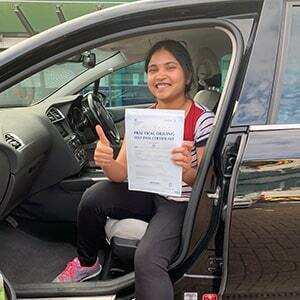 Before you start panicking, you can always search for videos of Morden test routes on YouTube or download our sample Morden driving test routes. If you're taking lessons with a local instructor, they'll introduce you to most of the local roads—ranging from roundabouts to crossroads—that will feature on your test route. As long as you pay attention to the roads during your lessons, you should be more than prepared for what will come your way on the practical. For the whole of Britain, the average test pass rate is 47%. However, in London this is significantly reduced to 40.8%. This is for a number of reasons, but can generally be attributed to the concentration of complex junctions and busy roads within London. Morden is much more in line with the rest of the country than most London test centres: the average pass rate here hovers around 46%. This will obviously come as good news for anyone who’s looking to take their test here, but it’s important to always bear in mind that your performance on the day is what matters—not average test rates. What If I Can't Go To Morden? The nearest place you can take your driving practical test to Morden is Tolworth, which is around 3.5 miles away. Roughly the same distance from Morden, but in the other direction, is Croydon test centre. All in all, the test lasts 40 minutes. 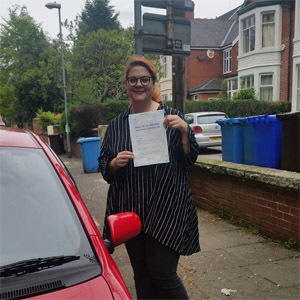 Once you arrive back at Morden, you’ll be given a piece of paper that tells you your result, and details any driving faults that you may have accumulated. Whether you’ve passed or failed, this can be really useful to assess the areas of your driving where you need to improve. If you do pass, you'll also get a test pass certificate. You shouldn’t be too hard on yourself if you fail—sometimes things just don’t go according to plan! Getting back on the road as soon as possible is crucial—a great way of doing this is through one of our refresher courses. 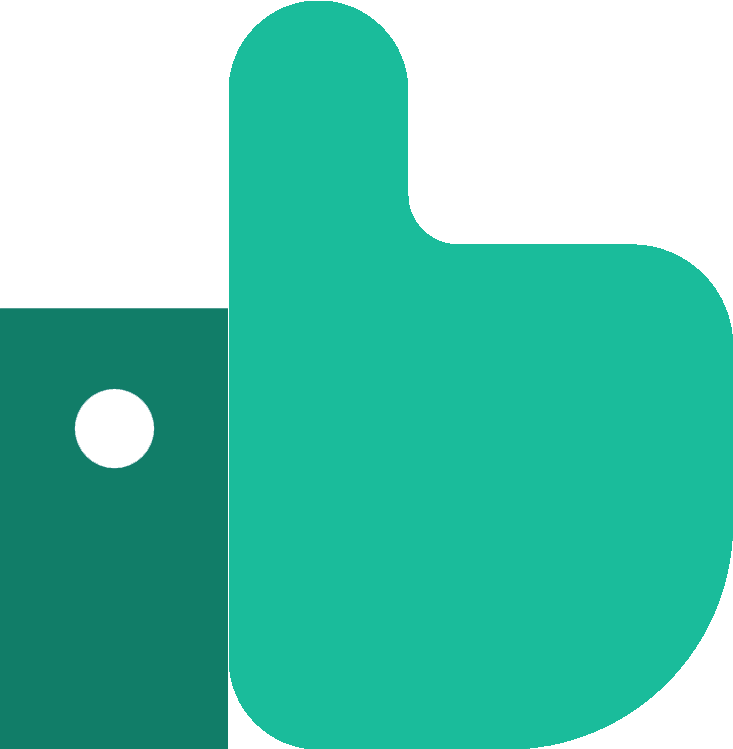 PassMeFast can also fast-track you a practical test, so you can get back on the road in no time. Give us a call on 0333 123 4949 to talk through your options, or send us a message using our online form. 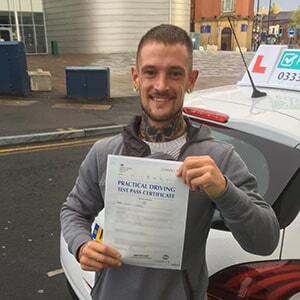 PassMeFast has a course to suit every driver in the area of Merton, whether you need to start from scratch or you’re just after a quick refresher. And our instructors are highly flexible, so, you don’t have to worry about dropping all your commitments to get that pink licence. So, if you can’t wait to get on the road, check out our course prices and give us a call on 0333 123 4949. Or, if you’re ready to get started right away, you can book online now!